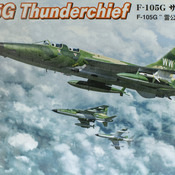 This book contains detailed instructions on building the F-105G 1/48 scale model aircraft from Hobby Boss. In addition to the kit’s instructions, there are 3 aftermarket kits with Eduard’s BIG4920 set - each with their own instruction. Can you imagine merging all of these instructions? Well, I’ve done that for you and more. I take the model kit instructions from Hobby Boss along with the Eduard sets and break them up into individual steps. The aftermarket steps are colored gray making them easy to skip if you just have the basic model. 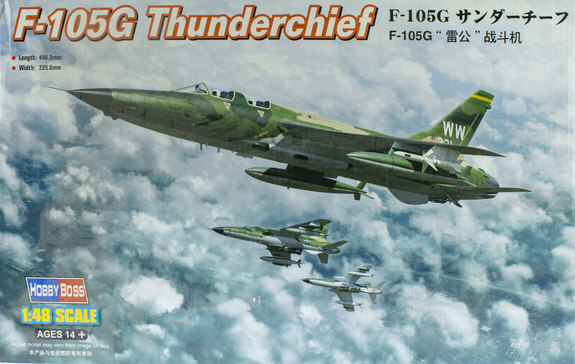 This book provides a little history of the Thunderchief, photos of the aftermarket kits, a detailed list of tools that I used to build this model, along with a list of paints. The actual instruction section contains 1,179 steps and 130 plus figures over 148 pages that tell you what to dry fit, glue, and/or paint for each individual piece. Each step instruction shows the source (i.e., either Hobby Boss or Eduard) along with a block to mark that you completed the step.